AMI has the tools and the experience to either fix what you have or completely design, customize and build something new. AMI can provide you with engineering technical support to design a container and agitation system for any application you may require. Our IBC’s are UN31A certified. We have a complete line of spare parts, the largest certified repair facility of intermediate bulk containers, and an automated cleaning facility to service all of your IBC’s. AMI also provides their customers with all updated DOT regulations and incorporates designs to our products and or repairs of your containers to meet any and all current DOT regulations. 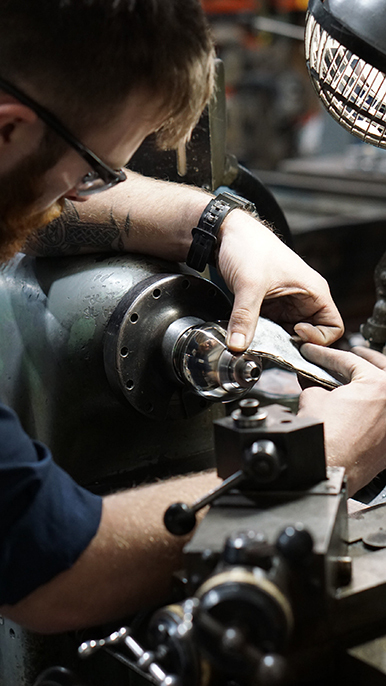 Welding and Custom Fabrication is American Machining primary purpose building and maintaining IBC tank totes and accessories. Special fabrications are also available with stainless steel and aluminum manufacturing a prime area of expertise. Large and small, design and build call AMI for consultation on your project. AMI provides you with complete compliance to the mandated DOT / UN requirements for your IBC fleet, including certified conversions with fast turn-around. AMI prepares and maintains all documents, and stores copies of your records for the mandatory two and one half years. Downtime due to broken equipment can be eliminated with AMI’s preventive maintenance management. Re-work susceptible components to like new condition stopping costly shut-downs. AMI’s affiliated company Cygnet Automated Cleaning offers complete IBC computerized tote tank cleaning and certification. All aspects of the Intermediate Bulk Container are examined as the tank travels the automatic conveyor finishing with a quality inspection and air test.